Marlin R. Kalpin passed away on Saturday November 24, 2018. Marlin (Kal) was born and grew up in Parkers Prairie, Minnesota with his mother Josephine. The day he graduated high school, Kal left Parkers Prairie to journey across the west, riding the rails and doing many an odd job along the way. Eventually returning to Minnesota, he joined the Minnesota Air National Guard then transferred to the Air Force where he received his pilot’s training and proudly flew F86's. After his service ended in 1956, Kal began working for United Airlines, a job he loved for 39 years. He flew all over the world. His fondest memories were of flying the 747-400 to the Orient and his proudest memories were of flying cargo to and troops home from combat in Vietnam. Just a year into his career with UAL, Kal met his wife of 61 years, Mary, at a house party. She was a stewardess for UAL at the time. They were married 7 months later. Mary and Kal traveled the world and enjoyed many trips to Lake Tahoe for skiing and sailing. Together they raised 7 children. Retiring from UAL was not the end of work for Kal. He started working some land in northern California he had purchased many years earlier, turning a pile of dredge tailings (lots of rocks) into Sugar Creek Ranch, a sport fishing destination of renown. Kal truly loved fishing and spent many of his retired years fishing with many of his sons and grandchildren at Lake Tahoe, Santa Cruz, and Alaska. Kal will also be remembered for the many hobbies he pursued during his lifetime; rock hound, fishing, sailing, woodworking, furniture building, jewelry making, making wine from grapes harvested from his own vineyard, making liquor from a wide variety of fruits and vegetables, and hunting. 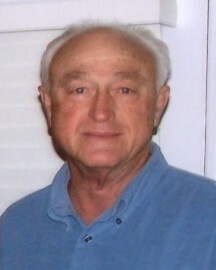 He is survived by his wife, Mary Margaret and their 7 children, 7 grandchildren, and 2 great grandchildren. He was deeply loved and will be greatly missed forever.